During last Saturday's Weekly Workshop, we played with redstone combination locks. 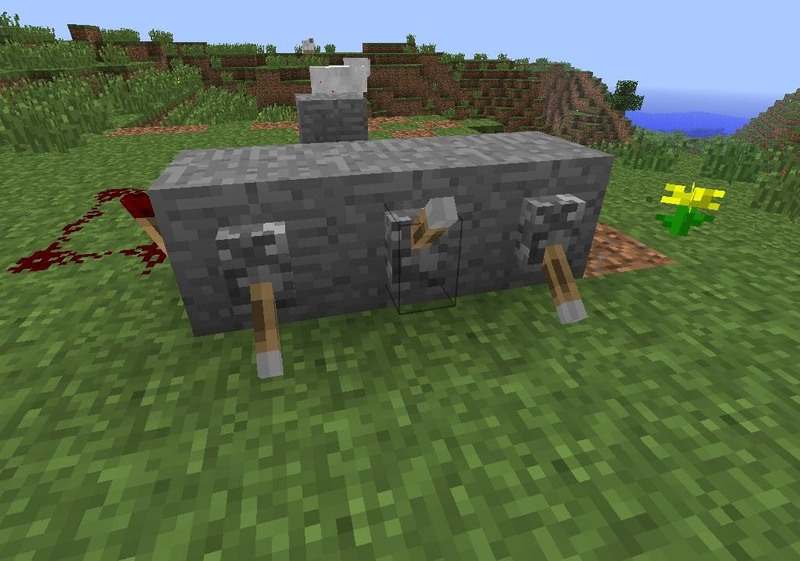 A redstone combination lock is a redstone device that relies on logic gates in order to power a door or some other redstone powered item. The complexity of a lock can often be determined by how many logic gates are used in conjunction with each other. 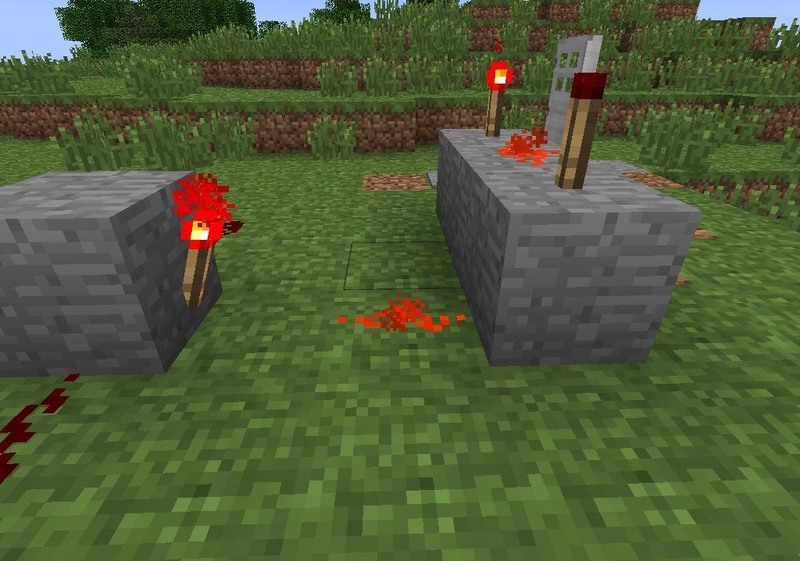 We used redstone logic gates in a previous tutorial as well. Combination locks can be used to keep your loot safe on a chaos server, create fun mini-games, or test would-be griefers before they dare enter your server without reading the rules. 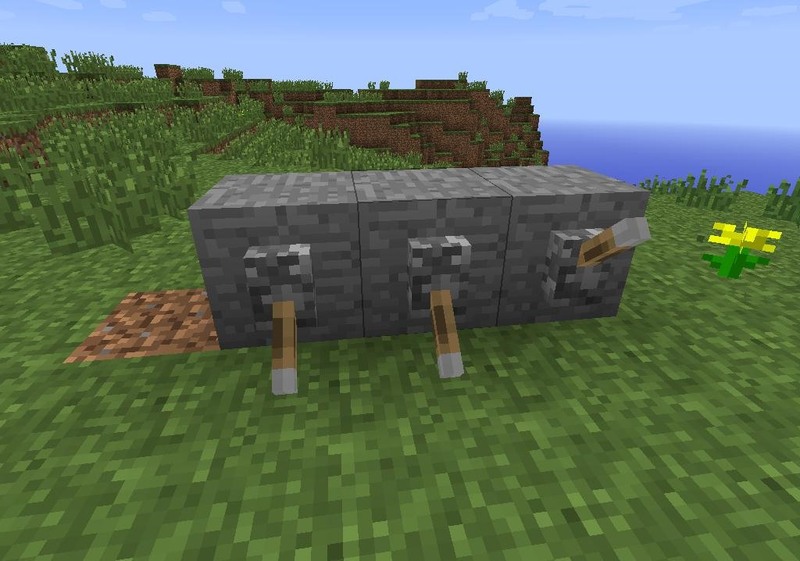 As with all things redstone, combination locks can be extrapolated for many, many uses. In this example, we'll use an intermediate lock that can be changed either for more simplicity or greater complexity. 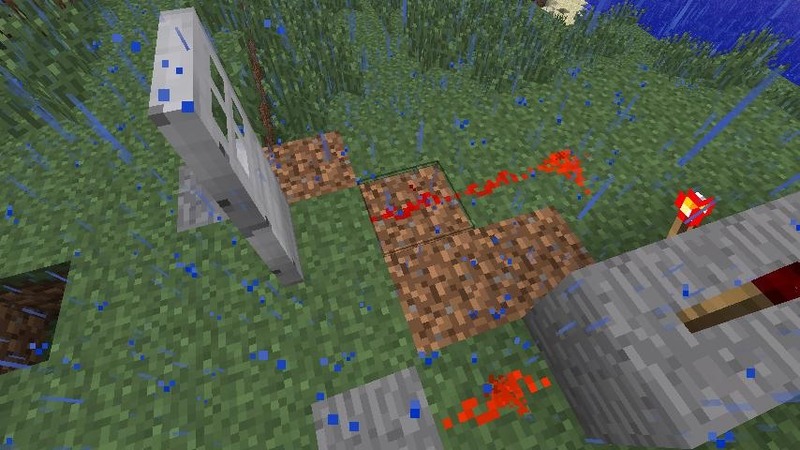 Typically, the combination of a redstone lock is entered using levers. The lock is usually opened either by a pressure plate or stone button after completing the correct combination. We'll use levers and pressure plates in this example. (1) Place three redstone levers on any block material you choose. Determine the combination you want to use for later. 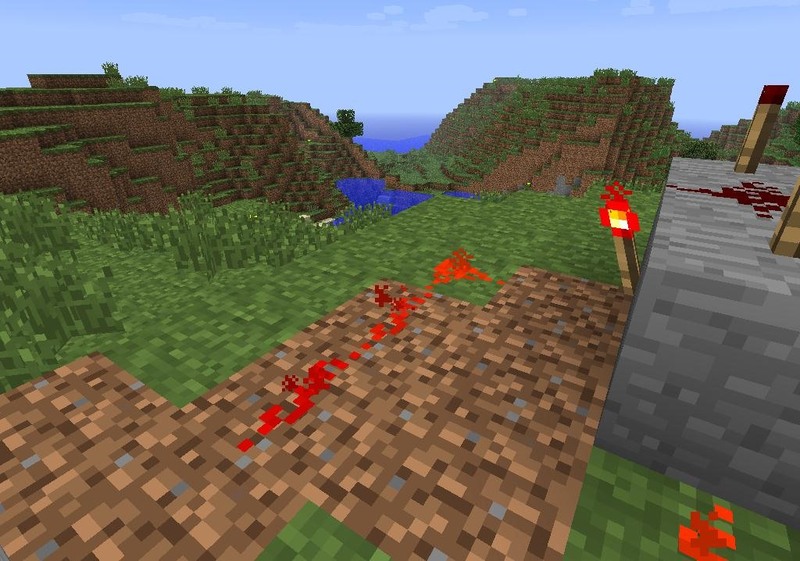 , (2) On either side of your combination array, place redstone torches like so. As you flip the levers on either side the redstone torches will deactivate. The torches will need to be deactivated in order to open your door, so adjust for your combination accordingly. , (3) Run redstone wire from the center and side levers to a single block of your choosing. Place a restone torch on the far side of the block and conect the wires to the unoccupied sides as seen above. (4) Here is the current array from behind. 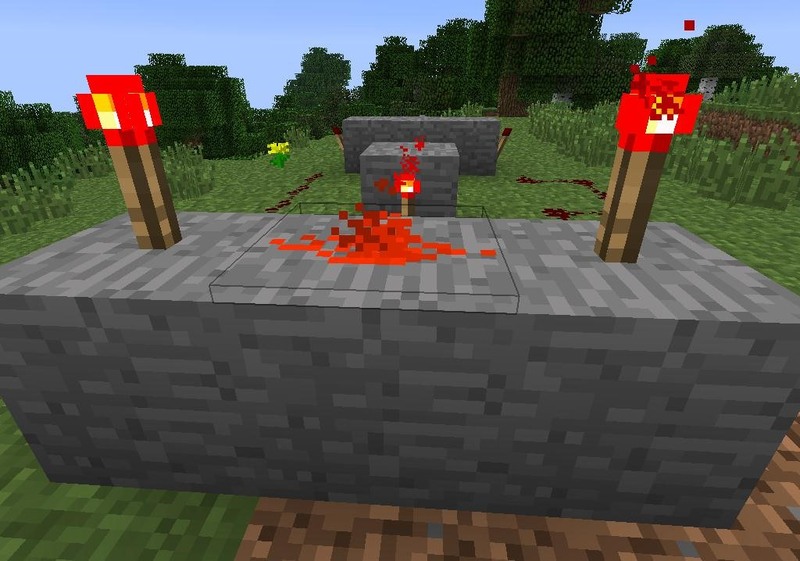 When the levers have the proper combination this redstone torch lights up, when they don't it turns off. This is the first part of our lock. 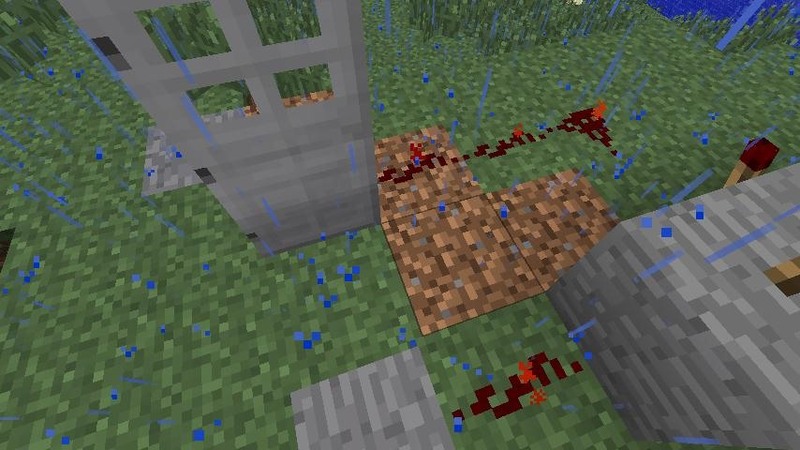 All redstone gates transmit a signal based on a certain set of requirements. 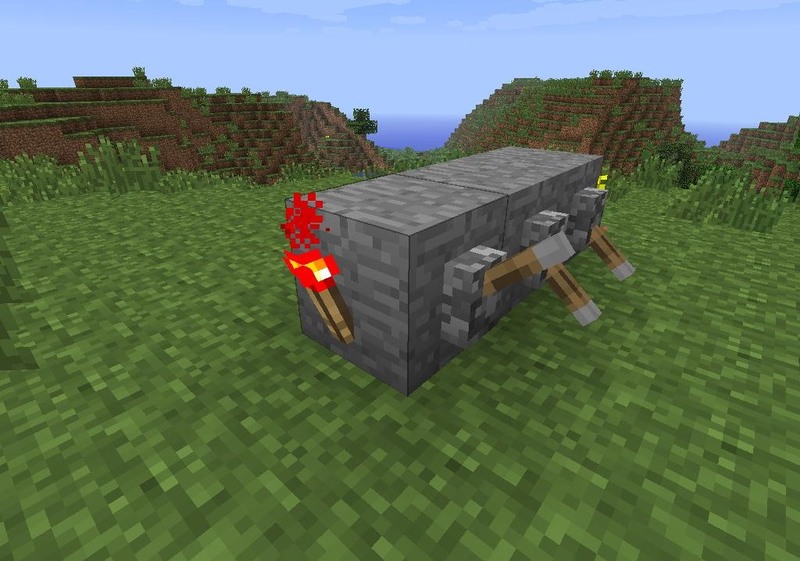 A redstone And logic gate is named as such, because it requires two redstone signals to be sent to it simultaneously in order to send a final signal. This means that our combination above will have to be right in order to help activate one half of the And Gate. (1) To build an And Gate place three blocks like so. 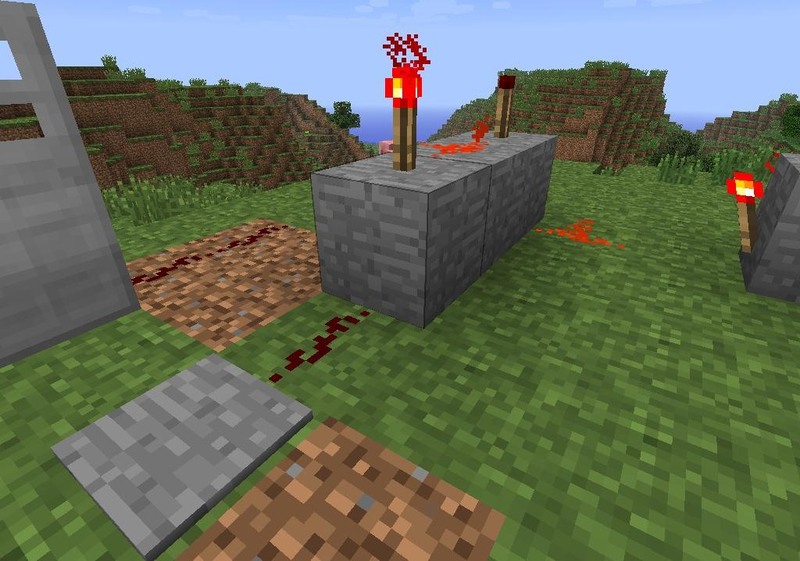 Then place two redstone torches on top of your three blocks on either side, connecting them with redstone. (2) Place a final torch in the front center of the three blocks. Notice the front torch turns off when the top two torches are activated. This front torch send the final signal from the And Gate and thus the top two torches require deactivation in order for a signal to be sent from the And Gate. Be sure your And Gate is in place so as to recieve signal from the torch in your combination array. 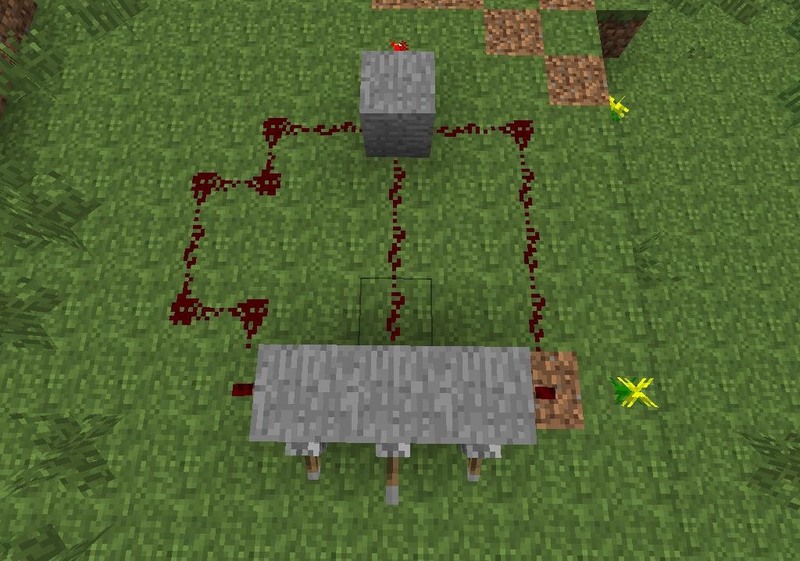 Send the signal from your combination array directly into one of the top redstone torches on the And Gate using redstone wire. The And Gate still needs a second redstone signal in order to be activated. 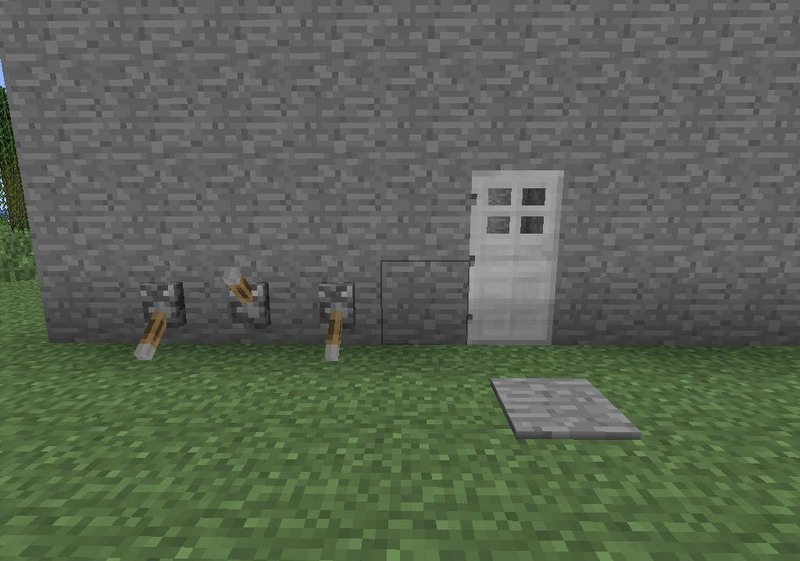 This will be the final step needed to open your door or other redstone activated devices. This can be a button, a pressure plate, or a lever. (1) For the purpose of this demonstration, I will use a pressure plate. Simply run redstone wire from whichever activator you choose to the other unused redstone torch on top of your And Gate. , (2) When this second and final torch deactivates, the front torch on the And Gate will turn on and a signal can be sent. 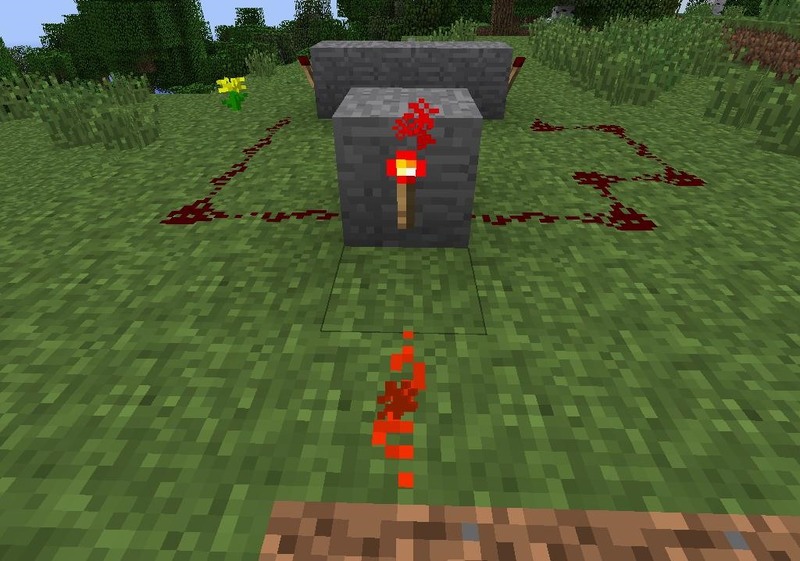 (1) To complete your lock, run redstone wire from the front torch of the And Gate to the device you want activated. In this case it's an iron door. The signal will be sent from the front torch of the And Gate when I activate the second signal for the And Gate by stepping on the pressure plate above. (2) Here the And Gate is activated and the door opens. (3) Only with this combination was our door able to open. Any other combination would not do the trick. (1) Here I have contained my combination lock within the walls of my stone house. Only when I enter the correct combination and step on the pressure plate will my door open. 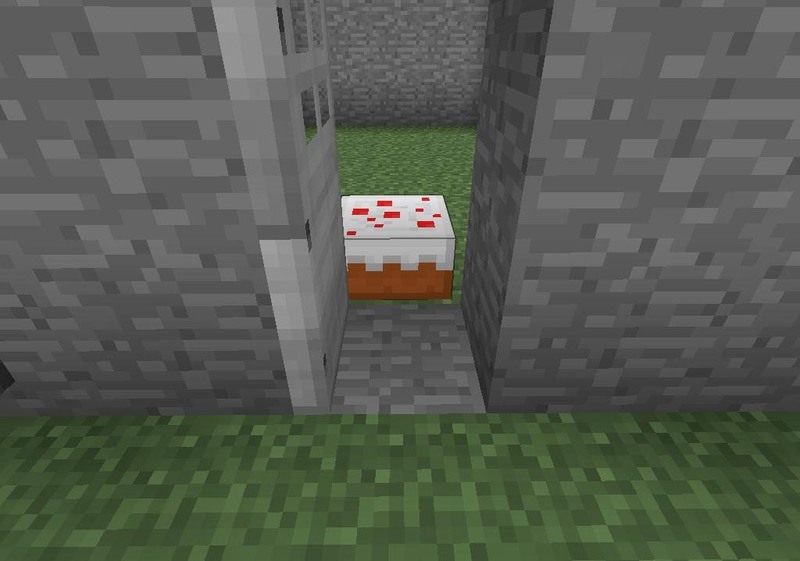 (2) Using this combination lock I've managed to keep my cake safe from hungry eyes on our server. Now you can breath easy keeping unwanted beings out and your favored items in. A special thanks to everyone who made this workshop an awesome one! Questions or comments? Please feel free to leave them in the comments section below. 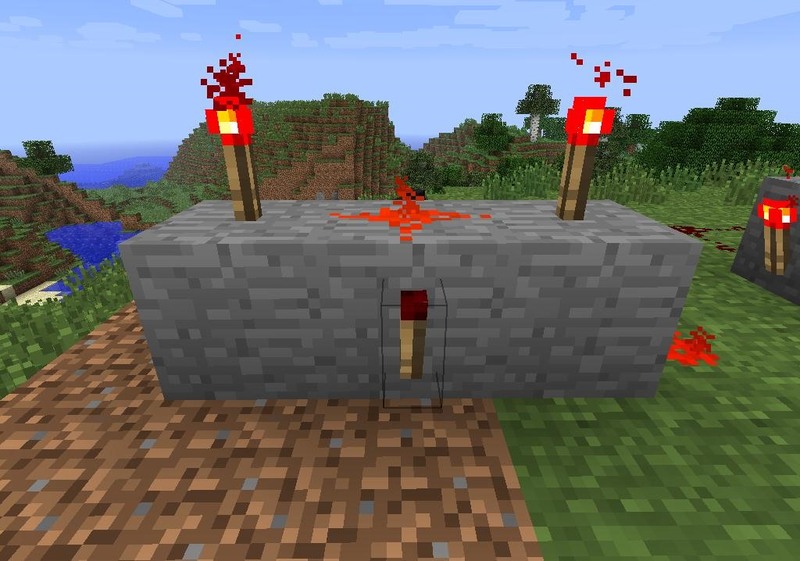 Can You Display the gates because im using redpower mod to make the lock smaller.